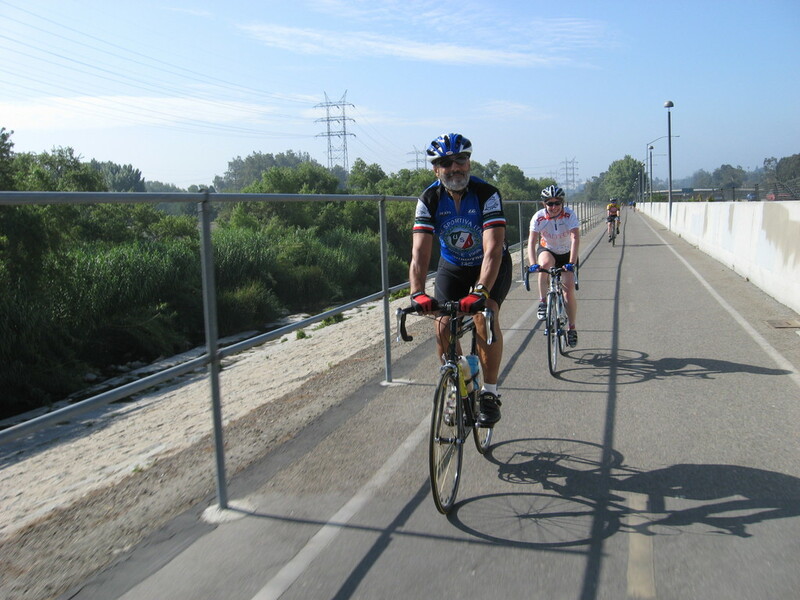 The route was the now-classic “Toluca Lake Inverse” ride. It was a perfect day for riding. 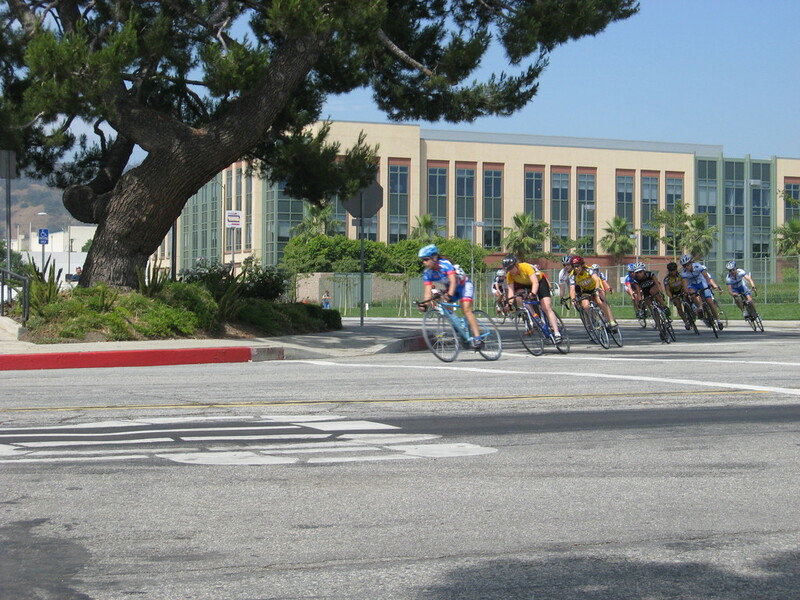 We headed out from Victory Park, down into San Marino and South Pasadena. Then over across Highland Park to the L.A. River. Then we got on the bike path. There was a guy fixing a flat right at the bike path entrance. 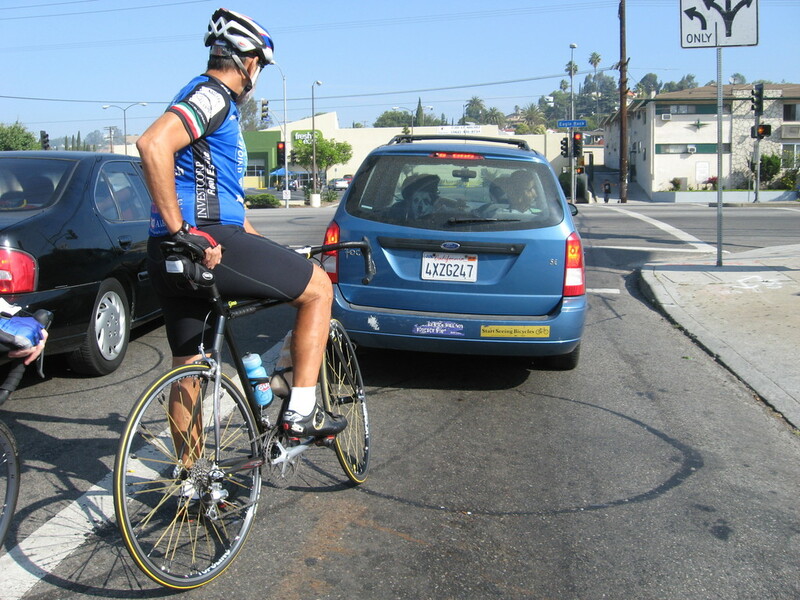 He wasn’t part of our group, but he had a flat tire, so I took his picture for the Flat Tire Gallery. 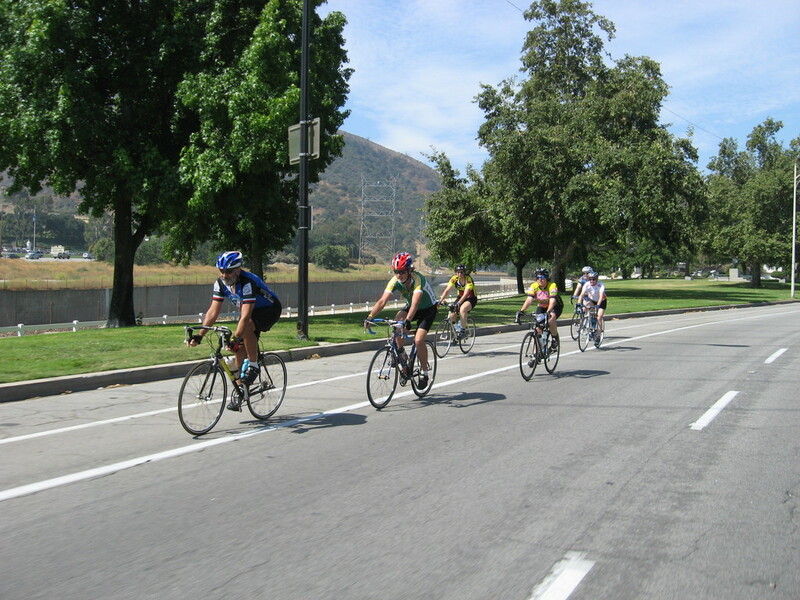 We rode the bike path to the end at Riverside Dr. Then went through Griffith Park to get to Barham Blvd by Warner Bros. Our snack stop was at Priscilla’s on Riverside. 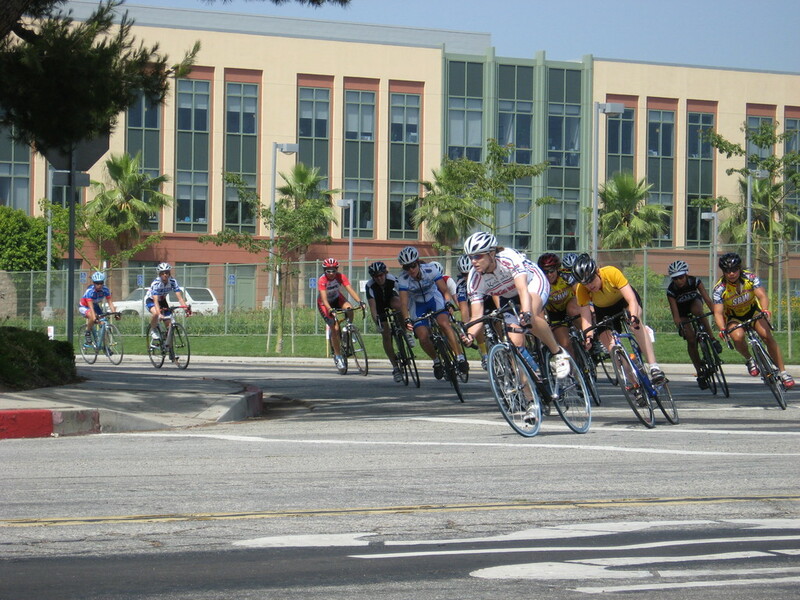 After the stop, we headed back, taking a small detour to see the race in Glendale. I watched for a little while, but I needed to get back on the early side, so Susan and I left early to go home. The route back was up Verdugo into Montrose, and then home by way of La Cañada. It was a fun ride.